Epilepsy is a disorder of the central nervous system (a neurological disorder). 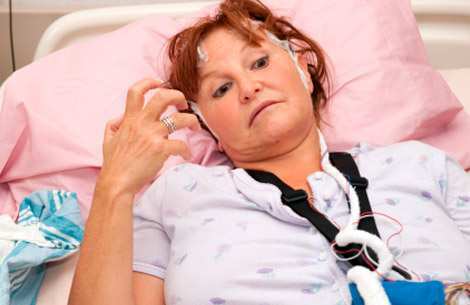 Epilepsy is also called as a seizure (which is mostly the symptom of Epilepsy itself) disorder in which the neurons in the brain or the nerve cells in the brain is disturbed, causing fits or attacks with or without convulsions but no fear, short spells of blackout, or confused memory, intermittent fainting during which bowel or bladder control is lost, extreme tiredness, sudden bouts of blinking, sudden bouts of chewing, sudden falling down, sudden fearfulness, inappropriate movements repeatedly, feeling of dazed and unable to communicate, muscle spasms, and loss of responsiveness to the surroundings. The causes of Epilepsy can be long term illness, infectious diseases for instance AIDS and viral encephalitis, brain damage, abnormal brain development or genetics in some cases. Other causes of Epilepsy include allergic reactions to some foods, circulatory disorders, chronic alcoholism, deficient mineral assimilation, use of cocaine and mental conflict. Sometimes the causes can be due to parental injuries and development disorders. The risk factors that can increase the risk of getting Epilepsy are family history, stroke and other vascular diseases, head injuries, brain infections, dementia and seizures in childhood. There are two types of Epilepsy. In the first type (petit mal), fits or attacks begins and stops within few seconds and the person has a momentary loss of consciousness, with no convulsions except sometimes a slight rigidity. In the second type (grand mal), person suffers convulsions, violent contractions of arms, legs, and rest of the body accompanied by sudden loss of consciousness. In a typical fits or attacks, the person falls to the ground, loses consciousness, suffers convulsions, foaming at the mouth, twitching of muscles, rotation of the head, biting of tongue, and deviation of the eye. This condition of fits or attacks occur due to abnormal activity in the brain cells. When seizures appear to result from the abnormal activity in just one area of your brain, they’re called focal (partial) seizures. Seizures that appear to involve all areas of the brain are called generalized seizures. The main cause of petit mal is strained nervous condition. Grand mal results from hereditary influences, serious shock, injury to the brain or nervous system, and diseases like typhoid and meningitis. Presently there is no cure for most types of Epilepsy. But mainstream treatment suggests seizure preventing drugs or anti-epileptic drugs and surgery to manage the condition. The surgery might be able to stop some kinds of seizure from occurring. The root cause of Epilepsy is deep rooted, at the level of energy or a specific Chakra blockage that has manifested this out. Specifically the Crown (Sahasrara) Chakra is the seat of oneness with the everything / Universal Consciousness and the Divine Power. Any misalignment with the Universal Consciousness wherein the person allows external situations to take control and has lot of negativity towards the reality, mental conflict and strain reaches its peak to affect the nervous system and the nerve cell electrical activity in the brain. Researchers are studying deep brain stimulation as a treatment for Epilepsy. In deep brain stimulation, surgeons implant electrodes into a specific part of the brain. The electrodes are connected to a generator implanted in the chest or the skull that sends electrical pulses for the brain and reduces the seizure. Which is exactly the work of our natural therapy. Therefore understanding the root cause of Epilepsy and adding a natural healing solution will help in the treatment without interfering the current treatment. Epilepsy actually comes from an Imbalanced Crown (Sahasrara) Chakra due to an emotional state, psychological reactions and certain life experiences. An energy imbalance in Crown (Sahasrara) Chakra is the cause of not just Sinus Problem but several other diseases. Thus it is very essential to add a natural therapy – an alternative healing therapy. There are several therapies under Alternative Healing, among the many therapies, Rudraksha Ratna Science Therapy (RRST) is a unique therapy that cleans the aura, gives good amount of relief from the suffering and helps in balancing the energy of an Imbalanced Crown (Sahasrara) Chakra. To balance the Crown (Sahasrara) Chakra and get relief from Epilepsy and any other disease, Rudraksha Ratna Science Therapy (RRST) pioneered by Neeta Singhal is an alternative healing therapy - a natural and unique therapy to balance the 7 Chakras (subtle energy centres) in the body. RRST is an outcome of the deep study of Puranas, Upanishads on the miraculous properties different Rudraksha beads have, and real-time testing of Rudraksha with Ratna (Gemstones) on the body has proven to clean the aura, heal and balance the Chakras. RRST prescribes specific Rudraksha and Gemstone combinations upon deriving the state of your Aura Energy and Chakra analysis. Respected Madam, Sorry for the delay in sharing my experience with you. After your guidance I ordered and started wearing the Supreme Kavacham. Initially I dont feel any change. But after 2 months now I can say that it really works, all my depression, fears and insecurities related to my life and career has vanished from my mind. I do what I want to do and speak what I want to speak. 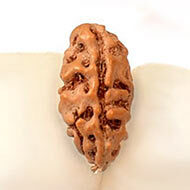 Now its a must for me to wear rudraksha at all the times and some times I wear it during the night also. Thank you Rudraksha Ratna for giving me such an opportunity to wear Rudraksha and get the divine blessings.